The sudden burst of a creative new idea electrifies me. 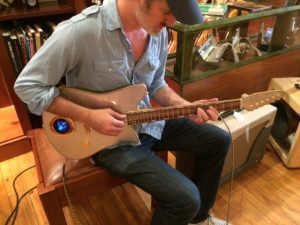 It’s an orgasmic rush to feel the birth of a new book, or song, or product, or online course. But there are a lot of misconceptions about creativity and being creative. For one, most people sit around and wait for inspiration to wallop them over the head with an idea. And they expect the idea to be fully developed and ready for release to the public. But is that how it actually happens? But how do you get inspired? She went on to explain how she gets inspired. She walks in nature, reads biographies, reviews songs and poems, and more. In other words, she invites inspiration. Jack London was more macho about it. Considering he wrote over 50 books, and some (White Fang, The Call of the Wild, Martin Eden) are considered classics of literature, he knew what to do to nail creativity. I’m a fan of inviting creativity, too. But here’s the thing no one seems to get. Receiving creativity is one thing; developing what you receive is another. 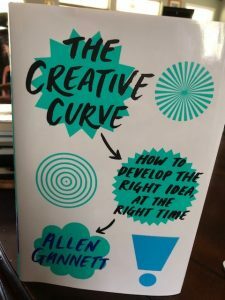 For example, I was reading the new book The Creative Curve by Allan Gannett and began to get the idea of writing this post. My mind was “ignited with an idea” and I let it float through my mind. But then I went here and started explaining my idea. In other words, the sudden inspiration for an idea is a birth; but you have to grow and develop the idea into something that you can share. 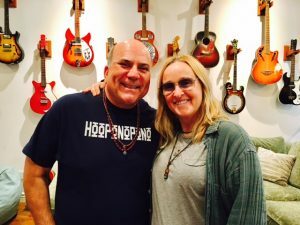 Melissa Etheridge also told me that after I got an idea for a song, I “get” to develop it with music, melody and more. Some people complain that they have an idea for a book or a business, but now have to do the work to bring it into being. You don’t “have” to do it, you “get” to do it. With this very blog post, I’ll probably rewrite it fifteen times, or more. Because receiving an idea and developing an idea are two different things. He didn’t just receive inspiration and release a song. The result is considered a masterpiece. But it didn’t arrive in his mind as complete and finished. All he received was the seed. Mozart didn’t receive finished music, either. He got flashes of ideas and then worked at the keyboard to grind out what worked and didn’t. I remember reading that the late Leonard Cohen often worked on a single song for ten years. The shocking truth about creativity is that getting an idea is simple birth; you still have to raise it, much like making a baby is a thrilling explosion of delight, but now you have to change the diapers, feed it, raise it, and send it to school. If you really want to be creative, you have to invite inspiration, and then go to work. Take the seed and grow it. 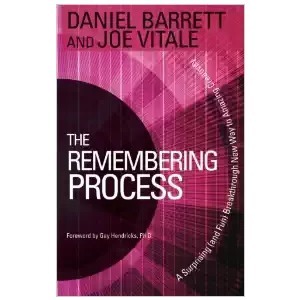 When Daniel Barrett and I wrote the book, The Remembering Process, we wanted to share a new way to invite creative expression and creativity. But after you receive a vision, or an inkling of what to do, you still have to develop it. The creative idea isn’t the end. The creative idea is the beginning. And that’s where you “get” to be the parent of creativity. 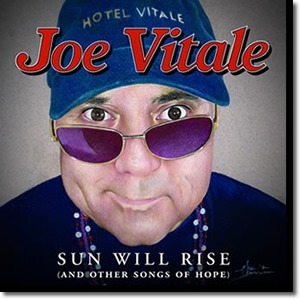 For example, when I stated an intention to create the album, Sun Will Rise, I had to use everything to receive the ideas for each song. But then I also had to write and rewrite those songs. And then I had to get my Band of Legends together and record those songs. And then we had to tweak and improve those songs in the studio. And then we mixed them, and mastered them. I didn’t just “get an idea” and quit. This is the shocking truth about creativity. Back in 1997 or so I wrote a little booklet called Spiritual Marketing. I wrote it for my sister. 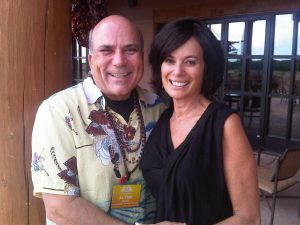 I got the idea that maybe I could help her by explaining a process I had learned that took me from homeless to wealth. 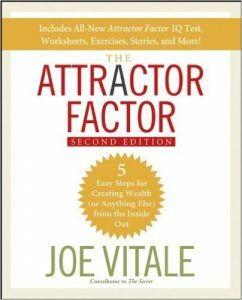 The little booklet explained a five step formula for attracting wealth. I never promoted it, and I kept it secret; only handing it out among friends and people I met and trusted. One of those friends was Bob Proctor, who convinced me this little booklet was a gem. A new print-on-demand publisher approached me around 2002 and asked if they could print something of mine. I gave them Spiritual Marketing. But before I did, I rewrote it, expanded it, added more content to it, and developed it into a more mainstream full length book. That book became an Amazon bestseller and was mentioned in a New York Times article. And I could have stopped there. 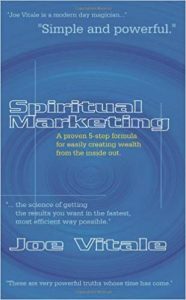 Then, around 2005, a major publisher approached me about publishing Spiritual Marketing. But they didn’t like the title. 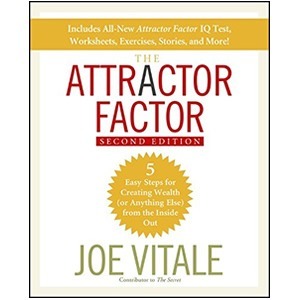 So I changed the title, rewrote the book, added even more content to it, and released it as The Attractor Factor. It was that very book that got me invited to be in what became the hit movie The Secret. But this evolution of an idea didn’t stop there. The publisher loved the book but wanted to print a newer, expanded, more workbook oriented edition of it. So I again added to the book, enriched it, added quizzes and worksheets, and saw it published in 2008. That book is still a bestseller today. Do you see how this process works? I didn’t receive an idea and stop. I received it, developed it, and kept developing it. What I keep preaching is that life is a co-creation. It’s a dance of energy. You receive an idea or inspiration. But it will just sit there unless you take action to breathe it into being. I’m told I’ve written over 75 books. I’m told I’ve recorded over 15 albums. They all began as ideas from being creative, from allowing creativity; but none of them would be available had I take not taken action to create and manifest them. So, how do you be more creative? How do you practice creativity? And by acting on that inspiration. Now go forth and blossom. You have work you “get” to do. 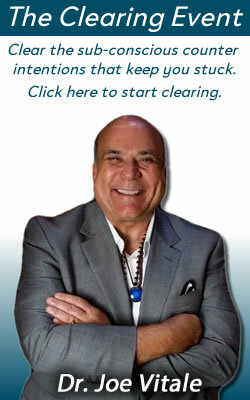 I read Michael Singer’s bestselling book, The Surrender Experiment, in one day. His true story of simply meditating every day and doing whatever was in front of him to do led to everything from him being a land owner, leader of a spiritual community, author of a bestselling book, a multimillionaire with hundreds of employees, and more. All he says he did each day was “surrender” to the “flow” of life. While I loved the book, it raised a lot of questions. For example, Singer seems oblivious to his own belief system. Early in the book, when he is offered money to teach, he resists and refuses. That hardly sounds like surrender. It sounds more like he had beliefs about money. Otherwise, why wouldn’t he surrender to the offering? Later, when his software service becomes so marketable that it brings millions of dollars in his direction, he redirects it away from himself, buying more and more land and donating it to his growing spiritual community, which is where he happens to live. There is nothing wrong with any of this, of course. But being aware of this behavior is crucial to spiritual awakening. Too many people still think “money bad” when in fact money is neutral. It’s your beliefs about it that make it good, bad, or indifferent. Also, Singer says he has “no intentions” and no “personal preferences” – yet he intends to meditate every day and intends to surrender to the flow, and prefers to meditate in the morning and at night. And when he can’t decide something, the most powerful personality in the room gets him to “surrender” to his desire, such as take a job, or take pay. Clearly, the author is intending and preferring. 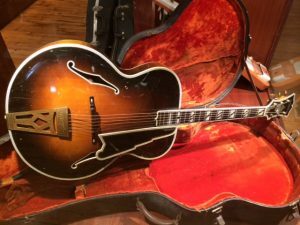 Singer’s surrender to the flow of life lands him with an FBI raid, a lawsuit of the magnitude more attorneys then you have ever thought possible are brought in to handle the case, and the journey through the courts lasts years. While it all worked out in the end – which is part of Singer’s point – why did it happen in the first place? 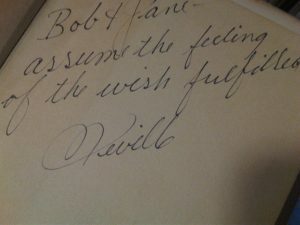 Throughout his book he suggests that the “the flow” of life is an underlying spiritual force that has intelligence and that is taking care of us, leading us to the experiences we need for our next growth spurt and consciousness expansion. While I don’t argue with the flow – I do my best to honor it each day myself – you have to stop and reflect on what is the flow – your unconscious mind or the sum total of all life’s previous decisions or some wise Divinity? Millions of people, including Singer, swear by meditation as the way to see beyond the chatter of the mind and find the flow. But many new books, such as The Buddha Pill, offer compelling evidence that meditation can actually be dark. Personally I feel it depends on the user. If you are already of sound mind and body, meditation may help you relax even more and give you the ability to see behind the curtain, to the “whiteboard” or Witness of life. But if you are new to meditation and personal development, and have any emotional issues or past traumas, meditation may mask your wounds, hide your emotions, and allow your unconscious to trick you. For example, we saw the movie Love Sick the other night. It was about a man who falls in love and then sabotages his love. To everyone else, he is insane. Why would he sabotage his own love life? To himself, he is sane. His behavior and what he sees is all very real, and very accurate, to him. It isn’t until someone shows him an MRI scan of his own brain in love, and explains his self destructive behavior, that he wakes up and begins to reshape his brain to create new behavior. But his “flow” led him to paranoia. His “natural” tendency was to fall in love and then find a reason to break off the relationship. And it wasn’t healthy, or getting him what he really wanted. Again, I firmly believe that the unconscious/subconscious is running the ship of our lives, and often into rocks. We have to awaken to our own programming to get a handle on just what is urging us to act. After all, I’ve spent decades teaching about “counter-intentions” — those unconscious beliefs that cause you not to attract your conscious intentions. Books such as The Key and audios such as The Missing Secret are designed to help you awaken to what is and is not the flow in your life. When you go on a diet, your natural “flow” is to keep eating, not stop. The current of your life is already moving in the direction of over eating. It will feel like you are battling the flow in order to hold your hands down when facing yummy foods. So, do you really want to follow the flow when you are dieting? When I was drafting the post about my new Gullwing Mastermind, I accidentally hit a key that deleted the entire post. I had no idea what I did, or how, or why. In my panic, I closed all my open windows and rebooted my computer. When I opened the post, the file had returned. But then things got even stranger. When I reached to hit the button to save my post, I accidentally published it. I wasn’t ready to publish the article yet. But I took a deep breath, decided “something” wanted me to go ahead and post that article, and I accepted it. But was it my unconscious or the flow that made me do it? To paraphrase Jung, until you awaken, you will say Fate (or The Flow) is creating your life, when in reality it’s your own unconscious mind. And let’s not forget that you can re-direct the flow with a decision. If you haven’t been working out, your flow is to stay on the couch. But after you set an intention and make a decision to exercise, your new flow will have you moving again. At first it may feel unnatural, because you are going against the “flow” of a habit you had, but as you persist, your new flow will become natural. Said another way, the neuro-pathways in your brain were already paved and running to keep you on the sofa; when you decided to exercise, you began to build new neuro-pathways, thereby creating a new behavior, a new habit, and a new flow. So yes, there is a flow in your life already moving, but you can redirect it with a decision. You just have to be awake enough to do it. There is a deeper level of flow, the “witness” behind it all, and identifying more with It than the thoughts and feelings overlaying it, may be a wiser approach to surrender. Our job is to discern the difference. For example, what drove me to write this commentary? On one level it could be my unconscious beliefs about being “right” and how I feel it is necessary to prove how smart I am by pointing out what Singer missed. On another level, it could be due to the deeper flow nudging me to write this because it needs written, no matter what explanation or rationale, in order to contribute to the awakening of the planet. Or maybe I jut decided it was a great opportunity to speak my mind. The Witness non-judgmentally observes all. But I, like Singer, am simply doing what I sense is the next appropriate thing for me to do in this moment. Again, I loved Singer’s book and urge you to read it. It is a hypnotic read, fast moving, and entertaining. He is on to something with surrender, but just be alert to what you are surrendering to. After all, the Witness just witnesses; it doesn’t tell you what to do. It will witness you cry or laugh or do or not do. You, as a thinking, feeling being, still get to decide. Bottom line: surrender to the flow that is the most loving and empowering, while paying attention to how you created/attracted the flow in the first place through your own previous decisions, and know that any decision you make now contributes to or even redirects the flow. and know that any decision you make now contributes to or even redirects the flow. PS – I am currently reading Singer’s earlier book, titled The Untethered Soul. It is also excellent. Anything you say after the words “I AM” creates your future. You can say, “I AM broke” and your mind will create that reality. You can say “I AM alone” and your mind will mirror that affirmation, too. You can say “I AM ill” and your mind will manufacture a life to reflect your statement. You might think that you are simply speaking what you are observing, but in reality you have created your current reality by your previous “I AM” thoughts, and your current “I AM” observations are creating the future you are about to experience. This will get clear in a moment. By the same token, you can take the same two words and attract something positive. “I AM wealthy” will begin to create a life that attracts wealth. “I AM loved” will begin to attract a life where you are loving and loved. “I AM healthy” will begin to morph your body into one of health and fitness. In other words, your new statements of “I AM” will begin to attract and create a life that will match it. At first it might feel awkward, or even a lie, to say “I AM wealthy” when you don’t yet see wealth, but it’s those previous “I AM” observations about lack that created the current lack. This technique can transform your life forever. Why do these two simple words have so much power? In other words, you have already been practicing this technique of reality creation. Whenever you said or thought, “I AM losing” or “I AM struggling” or “I AM not popular,” you were creating your own reality, not just observing it, albeit unconsciously. All of your self negations, or statements of negativity, or lack, were actually attracting the very life you were complaining about. It probably felt like you were just commenting on “what is” but in reality you were affirming what will be. The secret to creating a new reality is in first noticing what you are saying right now after “I AM” and then noticing how you are feeling. If you don’t like either, you can change them. As Neville pointed out, your subconscious/unconscious will ignore the outer and focus on the inner: your predominant thoughts and feelings. It will then go about creating a mirror to what you are doing inside yourself. Obviously, it would be wise to start speaking what you prefer and feeling it as already real. Instead of letting your thoughts and spoken words be about what you don’t want, think and speak what you do want, and feel as though it is already real right now. You don’t want to want; you want to be right now. The power of “I AM” is not new. Every great New Thought teacher from Joseph Murphy, Walter C. Lanyon, Walter Devoe, Lillian DeWaters, Emmet Fox, Ella Wheeler, Christian D Larson, Edna Lister, Wayne Dyer, Joel Osteen, Oprah, and Thomas Troward have written or spoken about it. What might be new is actually using it with conscious intent. 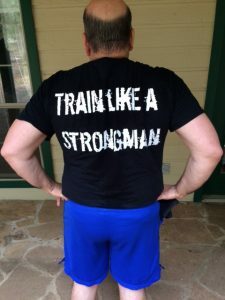 Those two words helped me have one of the most intense workout sessions of recent memory. They triggered an inner strength that attracted an outer strength. Vol 3 of "The Miracles Manual" available free. Just click image. My first book was published in 1984. It was called Zen and the Art of Writing. 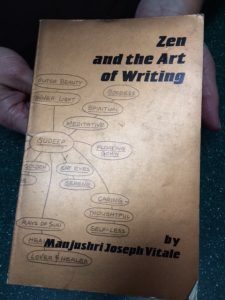 It contained methods for increasing creativity, from NLP to meditation to Focusing to improv, all tools I had studied along the way in developing myself as a writer. It was cause for celebration as I had struggled my entire adult life to get published, through homelessness and poverty, and a lot of desperate days and nights. Well, I was finally published. But ultimately that led to disappointment. Because I didn’t have a name, or a following, or a marketing formula, or a very good publisher, the book was a dud. I didn’t receive a dime from the book. I was left to continue my struggle. It would be almost ten more years (!) before I had a book published that did anything for me. In 1992 I released The Seven Lost Secrets of Success and got a taste of what it’s like to be a rising star as an author. I discovered that a book is an advertisement for my services. People would read it and want to do business with me. I never received an advance for the book, though. But being the author of it brought me opportunities. 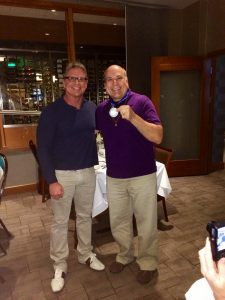 I was invited to speak at events, go on radio shows, get hired to write sales letters and ads, and more. The book brought me business. But it would get even better. In 1994 I wrote The AMA Complete Guide to Small Business Advertising for the American Management Association. I received a small advance – finally – for that book. At first I was disappointed at such a low amount. But after decades of trying to get published and finally receiving an advance, even a small one, I was grateful. And that book changed my life. Complete strangers and large companies hired me without meeting me, all because I was the author of an important book. I’m talking known entities like The Red Cross, as well as movers and shakers such as politicians, lawyers, authors, speakers, celebrities, oil magnates, millionaires and billionaires, CEOs and more. All I had to do was answer the phone. And by then I had a bit of a local name as a copywriter, had my own small database of fans, and was with a publisher that at least knew a little about marketing. 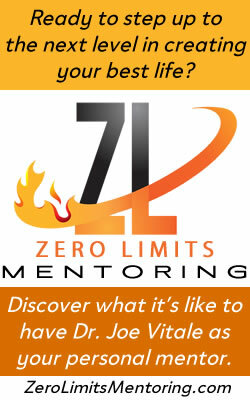 I was able to leverage my books into attracting more money. Being an author made me an author-ity. That was a turning point in my career. 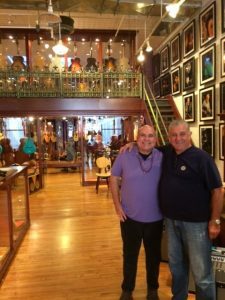 That experience of being published and being seen as the authority happened repeatedly, and kept growing, as I kept writing, publishing, and marketing. In 1996 I wrote one of the pioneering books on how to make money online. It was titled Cyber Writing and it, too, brought me more business as a copywriter, even though the book itself brought me almost nothing in terms of royalties. And because the Internet was now available to the masses, my audience became the entire world. Of course, releasing Hypnotic Writing (thanks to Mark Joyner’s persistent encouragement) as my first e-book (and later selling it to a major publisher) did wonders in establishing me as the copywriter to hire. I became an Internet celebrity. I could list more publishing milestones, both audio and print, but you get the idea. Obviously, being an author gives a credibility that is bankable. I've written way too many books to list here, but this one got me into the movie "The Secret"
In 2006 I was invited to appear in what became the hit movie The Secret — invited because of one of my books (The Attractor Factor) — and I ended up in the New York Times best-selling book, The Secret, too. And while I wasn’t paid to be in the book (or the movie), being included in such historic wonders brought global attention to me and elevated my career into outer space. Being a contributing author in such a mega-bestseller brought me even bigger and better opportunities, even when neither the book or movie brought me anything directly financially. I’m now an acknowledged success. The offers and opportunities keep rolling in. But it sure didn’t happen overnight. A few people want to know why there’s an investment to participate. Because you’re paying to skyrocket your career in one strategic move. You can play the game and try to get published on your own. And even if and when you get published on your own, you still need to promote your book. If you don’t have a built in audience, or a reputation, or a list, or a plan, good luck. What I’m offering you is a one time chance to explode on the scene – riding on my name and fame, benefiting from my database and strategy, and guaranteed to be a bestselling author almost overnight. I have a team in place to help you. I have the printer and the contacts. Your investment is an investment to leap over the desperate masses and shine as a bestselling author – now, not decades from now. It’s an investment in yourself. Believe me, if I could have done this in my struggle years, and hitched my wagon to a star, and had success as an author almost instantly, I would have grabbed it. It would have saved me years to decades of waiting, praying, trying, hoping and struggling. PS – Keep in mind that a lot of people will want to be in this book, and space is obviously limited, so if you are sincerely interested in advancing your career in one strategic smart move, then please zip over to http://www.instantbestsellingauthor.com right now. This is your moment. Grab it. Why not do it right now, while it’s on your mind?